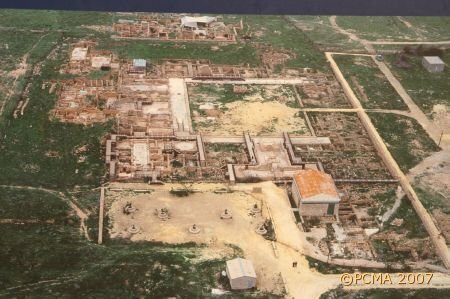 The last few seasons of Polish excavations in Nea Paphos on Cyprus have been concentrated on investigating two sites: ancillary rooms of the complex around the hall with the Mosaic of Aion, and the so-called Hellenistic House, which lies under and directly to the south of the Villa of Theseus, the Roman governor’s residence, explored in previous years. In September Prof. Dr. Wiktor A. Daszewski continued explorations of rooms on the northern side of the so-called House of Aion. Some of the rooms were furnished with geometric floor mosaics, but the overall impression is of a household and storage function. Moreover, the site had suffered considerably from a trench dug in modern times. The Late Roman layer in some of the rooms excavated this season was well dated by 4th century coins. One of the most interesting finds was a crater, made in a similar ware as African amphorae and with few counterparts even in Africa. Another find of interest was small fragmentary mould for casting appliqués in the form of Artemis enveloped in flowing robes. The underlying layer yielded large quantities of Late Hellenistic pottery, including several Rhodian amphorae with stamped handles, a late 1st century BC Cypriot Sigillata bowl of form H22A, a Campanian plate with outturned rim, a painted lagynos and a Red Slip wide-neck jug. 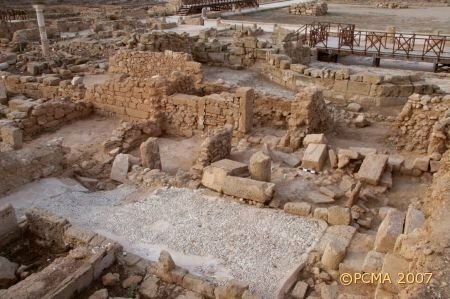 Repeatedly, the archaeological evidence demonstrated considerable rebuilding and plan modification between the Late Hellenistic and Roman periods. 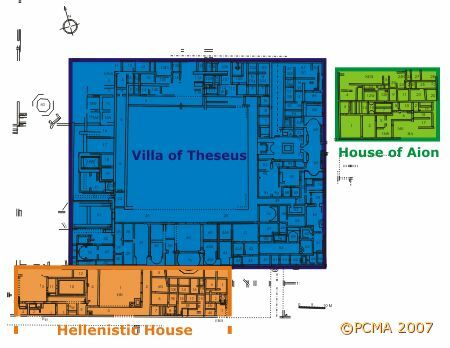 Continued investigation of the Hellenistic House revealed once again the three phases of use of this structure. The earliest, dating from the Late Hellenistic period, ended in violent destruction. Extensive rebuilding in Early Roman times concerned the area south of a long wall erected to separate this architecture from a pebble courtyard that was later damaged by the Villa of Theseus. This period in the area also seems to have ended in earthquake-related disaster, including a human victim trapped under some collapsed blocks of stone. Finally, an animal enclosure was built on top of the accumulated fill. The floor connected with this Byzantine-age construction was about 1m below the surface. The remaining two levels of occupation measured another meter in thickness of the deposits. 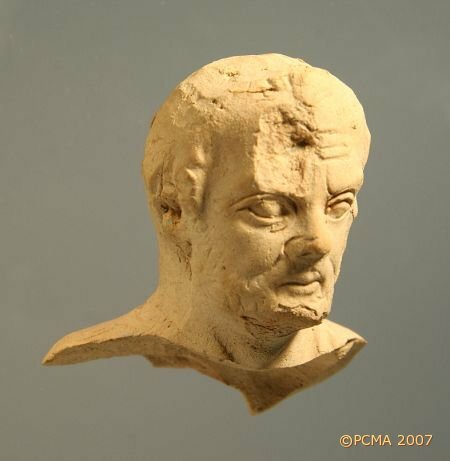 A fine portrait in clay of an aged man was discovered in the Roman-period layer, as was also an inscription mentioning Flavios the cashier.